I am straying from my series of posts on the differing views of God for a short while as I have been busy with articles for a guest post (more on that on the 23rd), a SynchroBlog contribution which will be up on the 17th and then for this post as well, which is my thoughts on the Slow Church book co written by Chris Smith and John Pattison. If you have not heard about it yet, it is a new book about church which is unlike any other that I have come across before Whereas most books about church focus on what happens at the Sunday meeting, the focus of this one is on how a group of Kingdom centred people can find richness in the common life that we share with those around us 7 days a week. The 21st century way of living is all about instant everything and self satisfaction. The authors refer to this as a McDonaldized society and explore how it has found its way into the church as well. We want churches that run efficiently, predictably and where the environment can be controlled. Much like McDonalds we seek to replicate programs that are proven and where out of the box thinking is frowned upon. We have sacrificed quality for quantity by focusing on numbers and church growth techniques rather than truly investing into people’s lives. The book covers a variety of topics related to church life by examining them through the lenses of ethics, ecology and economy. There are many challenging points in the book, from considering the lost art of showing hospitality to being forced to consider the trickle down effect that our everyday actions have on our neighbors. It caused me to consider the fact that where we shop and what we wear and eat really does have repercussions for other people. 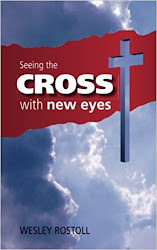 To quote the authors, “In a world where God is at work reconciling all creation, everything matters: work, family, friends, place, rest, food, money and, above all, the body of Christ, because the church is the interpretive community through which we make sense of all other facets of life.” (page 223). It is also really fitting that the book closes with a chapter on Communion. I love the idea of communion with Christ and with the body around a table, remembering, fellowshipping and growing together over a meal as a family. Slow Church is a timely reminder that patience is not only a virtue but a also fruit of the Spirit. One does not learn to endure others or bear other’s burdens as scripture tells us to by church hopping. By slowing down and growing roots we not only serve the church better but we become more effective in serving our community as well. 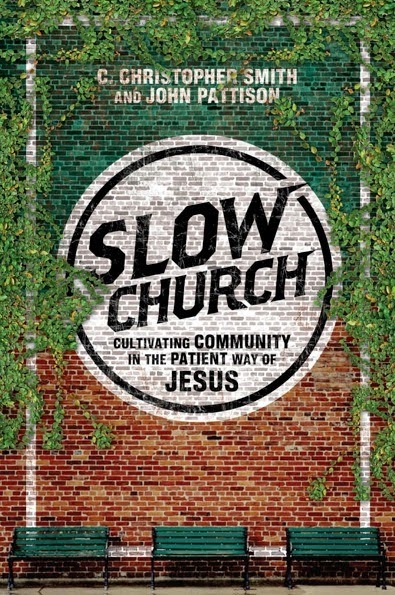 Check out the Slow Church website and book by clicking here. Sinners in the hands of a hippie God? If I could speak to a younger version of myself.